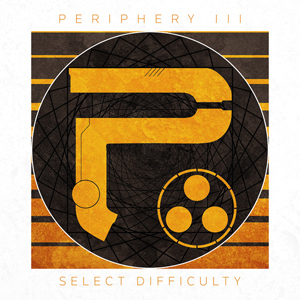 D.C.-based prog innovators PERIPHERY return this summer with a new album, Periphery III: Select Difficulty, out on July 22nd via Sumerian Records, and a US Sonic Unrest tour, which kicks off August 4th. PERIPHERY share the first music to be heard from the 11-song album as they stream the new song, “The Price Is Wrong”, which you can check out below. PERIPHERY’s own Adam “Nolly” Getgood oversaw production for the album as he did with the JuggernautPERIPHERY, as he will be expanding his production work in his native UK. He remains an integral part, and a member, of PERIPHERY. At this time no decision has been made about a touring bassist. The Sonic Unrest tour, a month-long outing, sponsored by D’Addario and Guitar Center, kicks off on August 4th in Raleigh, NC. Tickets are on-sale now. VIP packages, which feature a private meet and greet with the band as well as a limited edition, exclusive poster are available simultaneously via periphery.net.